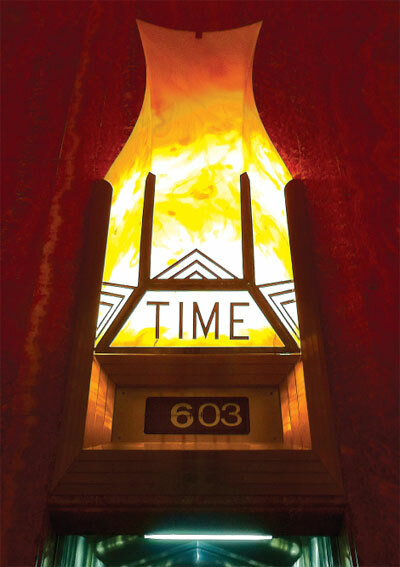 It's 6:03, according to the picture below, taken in the lobby of the Chrysler building. As it happens, it is now exactly five years since we opened Dexter Sinister which means our basement lease is up. To mark the ending please join us on 06.03.11 at 6:03 pm for a drink, when this auspicious minute will extend through the weekend, with the shop remaining open through Saturday and closing on Sunday some 48 hours later. As it happens, we're able to extend the lease for an extra year. During this period we are morphing into The Serving Library, becoming more archive than shop. To mark the beginning please join us on 06.03.11 at 6:03 pm for a drink, when we'll launch Bulletins of The Serving Library #1, a journal which picks up where Dot Dot Dot #20 left off. After that, the store will no longer keep its regular Saturday hours, though visitors are welcome by appointment and the online store will continue to operate.